For Christian Studies from April 28 to May 26, 2019, there will be a series of round table discussions on "Stewardship - What Biblical principles can we apply to how we spend our money and our time for ministry?" It will take place at 9:30 a.m. in the classroom upstairs. Please sign up at the church bulletin board. Intermediate Level Summer Volleyball Clinic is happening again this year during the week of July 15th, 7:00pm - 9:30pm. Please check the bulletin board or see Virginia for more information. 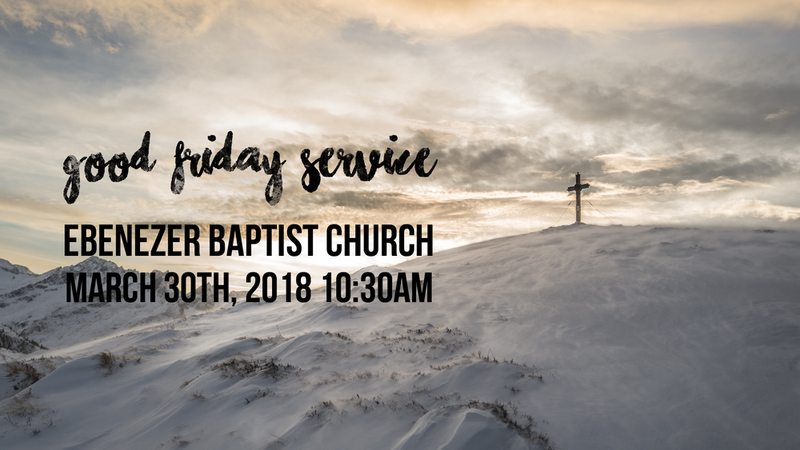 Our NAB family of churches will have a joint Good Friday service at Ebenezer Baptist Church, 6858 Fraser Street, Vancouver, thisApril 19th at 10:30 a.m. Everyone is welcome to attend. For those who are interested in getting baptised in April or would like more information about baptism, our membership classes will start on March 24th for three weeks. Please sign up with the ushers at the ushers' table. We will once again be supporting the Union Gospel Mission. We hope to collect 25 large cans of coffee by today. Please bring your monetary or item donations to the ushers' table by this date. Thank you for caring for those in our community. 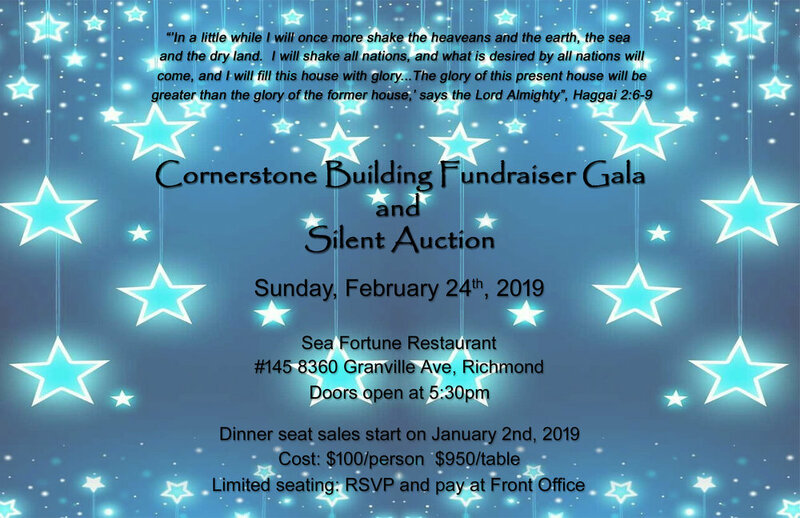 Save the date: we are kicking off our first fundraising event for the new building on Sunday, February 24, 2019, at 5:30 p.m. We will be having a dinner and silent auction at Sea Fortune Restaurant in Richmond. Be on the lookout for posters and brochures for more information. There will be an Annual General Meeting on Sunday, February 24th, right after worship. Foundation Classes will begin next Sunday, January 20, 2019 for seven weeks. Sunday School classes just wrapped up. We will be starting up classes again on January 06, 2019. Pastor Hawkes will be guest teaching on the book of 1 Peter. A sign up sheet is posted on the church bulletin board. Classes will start promptly at 9:30 a.m. sharp. Please be on time. 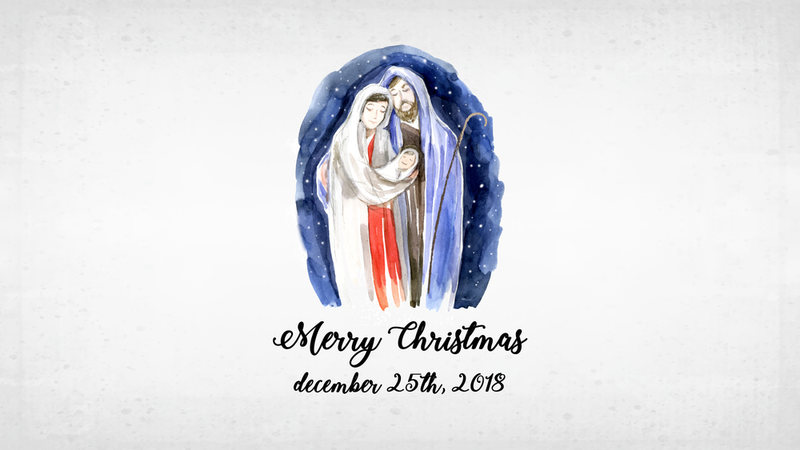 There will be a Christmas Service on Tuesday, December 25th at 10:00 a.m. Everyone is welcome! Christmas Celebration 2018 will be on Friday, December 14th, from 7:30 to 10:00 pm. Bring out your friends and bring an appetizer or dessert to share. CK Retreat will be happening Friday, November 09th to Sunday, November 11th at Camp Luther in Mission. The cost is $160 and registration forms will be available soon. Please contact a CK leader if you have any questions. 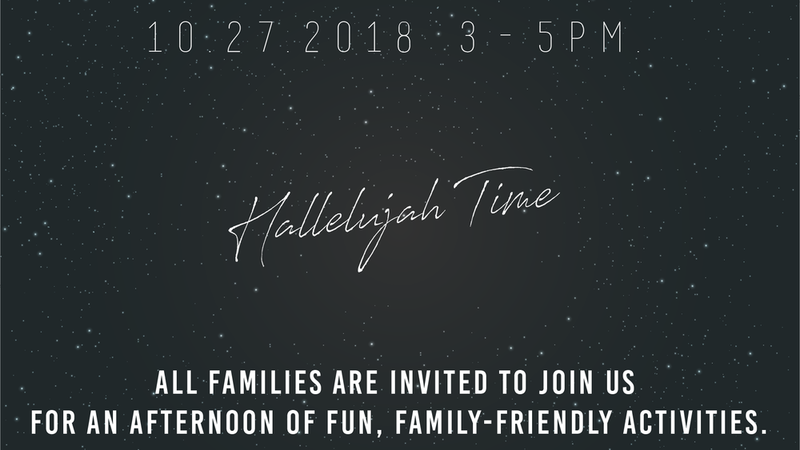 Hallelujah Time is coming up on Saturday, October 27 from 3:00-5:00pm. 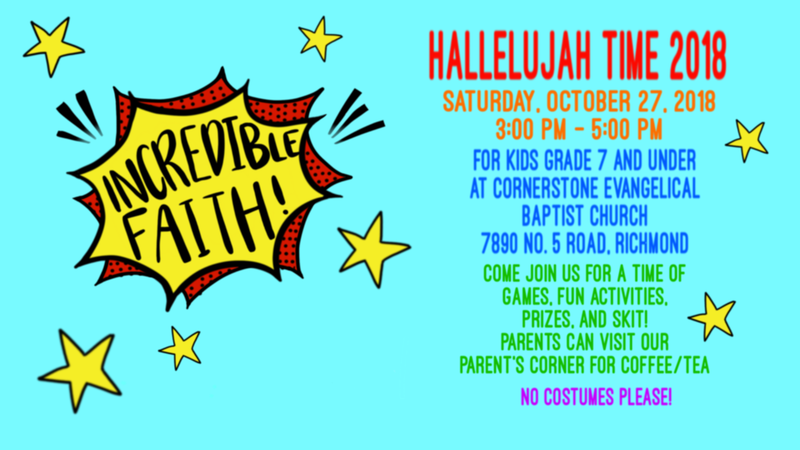 If you would like to help out at this family friendly event, please see Vicky Lam or email childrens@cebccanada.com by next Sunday, September 30th. Let's Give Thanks! Come join us for an evening of praise and thanksgiving as a family of God. Please sign up at the ushers' desk what main dish you would like to bring. It will be on Saturday, September 29th at 6 pm. If you are part of a fellowship group, please contact your fellowship leader to confirm what food item to contribute. We will once again be supporting the Union Gospel Mission. We hope to collect 25 large cans of coffee by Sunday, September 30th. Please bring your monetary or item donations to the ushers' table by this date. Thank you for caring for those in our community. Save the date for our Servant’s Attack on August 11th, from 9:30 a.m. to 4:00 p.m. This will be an opportunity for you to learn and explore about the different ministries we have at church. Lunch will be provided. There will be an outdoor Sunday Service on July 22nd (SONshine Worship Service) at 11:00 am and a Tropical-themed BBQ to follow. The cost for BBQ Lunch is $7 for adults and $4 for children (5-11 yrs.). Please sign up with ushers. This will be a Tropical BBQ, wear your tropical outfit and join in for a cookout! Please remember to bring your own seating, shade and sunscreen. Cornerstone Christian Academy is holding a week-long summer volleyball clinic during the week of July 16th for anyone who will be in Grade 8 in September, 2018 or older, as well as any adults. This clinic is geared to those who are intermediate level at volleyball and would like to further their skills. Please go to the usher’s table to pick up a registration form if you are interested. VBS is set to go during the week of July 2nd. Please pray for the leaders, helpers, and students involved that Jesus’ message impacts everyone! We will once again be supporting the Union Gospel Mission. 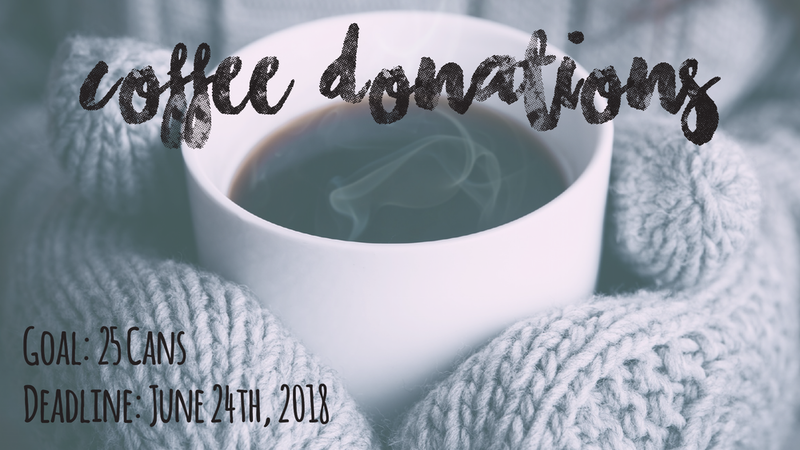 We hope to collect 25 large cans of coffee by Sunday, June 24th. Please bring your monetary or item donation(s) to the ushers' table by this date. Thank you for caring for those in our community. Come join us on Sunday, June 24th for CEBC's 40th Anniversary Luncheon and Celebration. After service, we will take a church-wide photo and have lunch together. There will be a short presentation after lunch. Starting today, please sign up at the usher's table for lunch. The cost is $5.00 for anyone 12 and older and $2.00 for anyone under 12 years of age. Volunteer to cook for the "The San Francisco Softball Team"
The San Francisco Softball Team will be here from June 18th to 25th. If anyone is interested in helping to cook for the SF team, please sign up on the sheet provided on the bulletin board in the lobby area. There will be a Labour of Love on Tuesday, June 19th for anyone interested in helping alongside the SF Team. On Friday, June 22nd, the SF Team will be joining our Fellowship, so come on out and meet or get reacquainted with them. 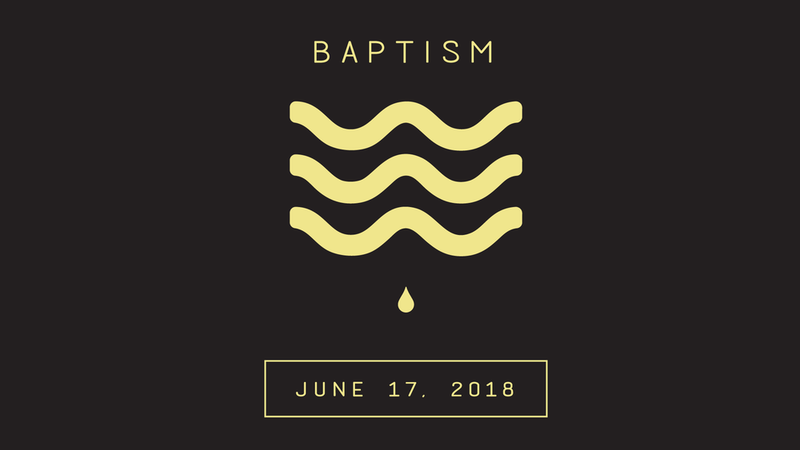 We will be having a baptismal service next Sunday, June 17th, for Ethan Chin and James Louie. 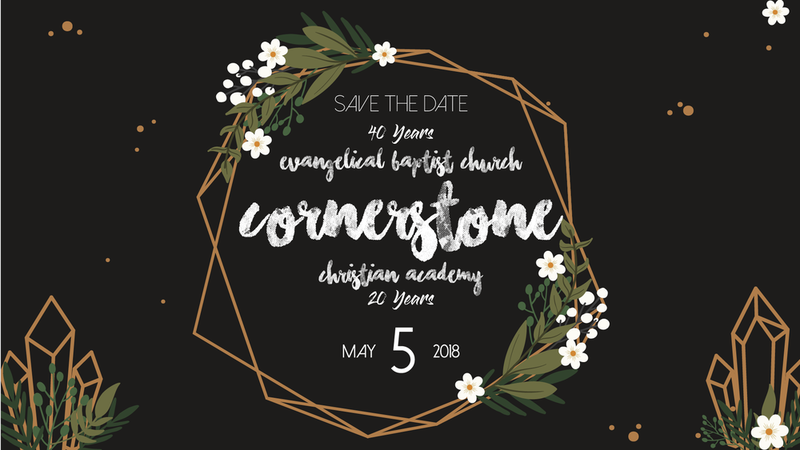 Save the date, May 05, 2018, for our CEBC 40th Anniversary, and CCA 20th Anniversary Celebration. The event will be held at Fraserview Church - 11295 Mellis Drive, Richmond, from 2:00 to 4:00 p.m.
All of us hunger for genuine community for meaningful relationships in our lives. Without community, we wither inside. Deep, transparent relationships help us grow into all God created us to be. In community, you'll learn how you can forge strong, meaningful ties with others and with God. You'll find out how to move beyond superficial relationships and build lasting friendships. This event is for parents of School aged children. Digital Footprint and Reputation – With their future approaching, recruiters and employers are taking note – What will they find? What will they leave behind? Please call or come to Front Office to RSVP and reserve your seat! 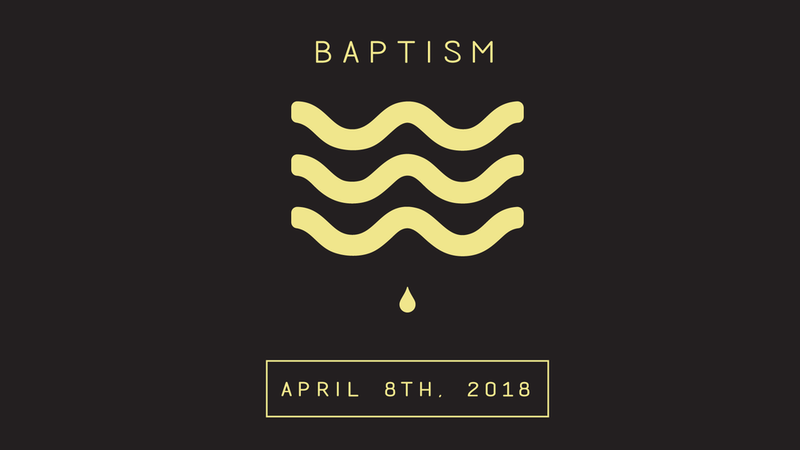 Please save the date and come celebrate with our brothers and sisters who will be getting baptised on April 8th, 2018! We will once again be supporting the Union Gospel Mission. We hope to collect 25 large cans of coffee by Sunday, March 25th. 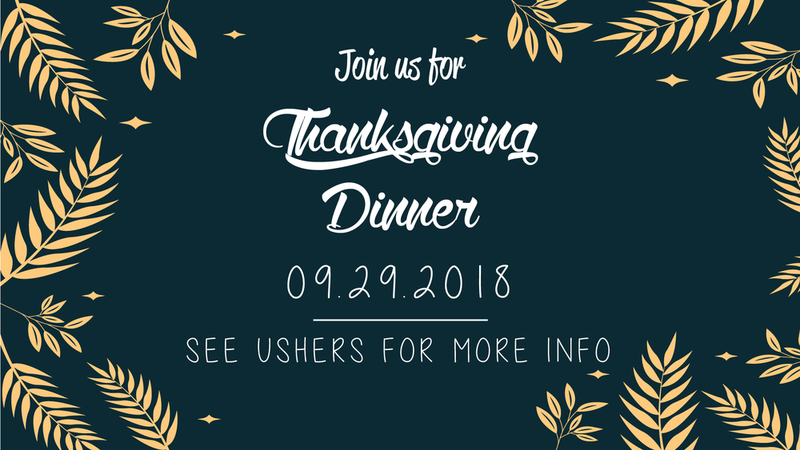 Please bring your monetary or item donation(s) to the ushers' table by this date. Thank you for caring for those in our community. will be an Annual General Meeting on February 25th, right after worship. If you are not sure of your membership status, please see Nicky.